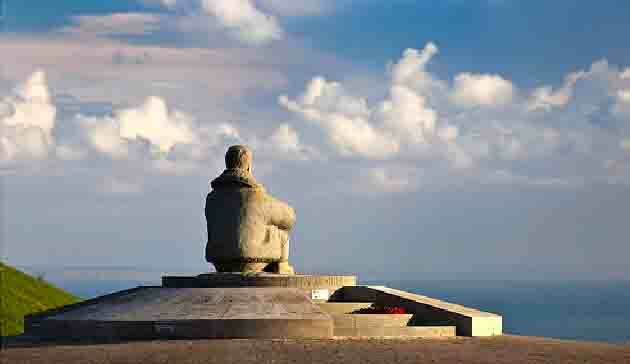 The National Memorial to the few at Capel-Le-Ferne on the famous White Cliffs between Dover and Folkestone in Kent, is maintained by the Battle of Britain Memorial Trust. 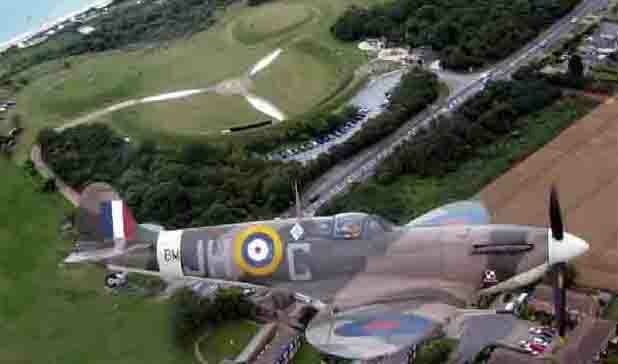 The Christopher Foxley-Norris Memorial Wall lists the names of all those who took part in the Battle of Britain, while a replica Spitfire & Hurricane stand nearby as a reminder of the iconic machines they flew to victory. 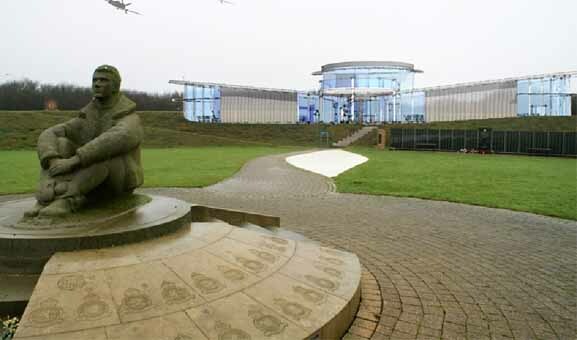 A new visitor’s centre, The Wing, has been designed by local Folkestone Architects Practice, Godden Allen Lawn using base survey information supplied by J C White Geomatics Limited. To provide detailed topographical survey for building of new visitor’s centre, new car park facilities and whole site plan to aid future planning. Prior to submitting a quotation the survey brief was discussed with the Architect. A detailed quotation was supplied and on instruction further discussions held to clarify specification and confirm amendments. To comply with the specification GPS SmartNet was used to establish Ordnance Survey National Grid and level datum, with a check to a OS local benchmark. Spot heights and detail within the open area of the site were surveyed using GPS with daily checks to established control. Detail within the main site, adjacent to and beneath the trees, was surveyed using Leica 700 series TCR instrument. As part of the specification, 500m of road required surveying to allow highway assessment of impact for increased traffic flow. All road detail was surveyed with Leica 700 series TCR, with reflectorless mode used to obtain levels and details within the live carriageway, thereby eliminating the need for traffic control with associated costs and potential time delay. The survey was processed using N4ce survey software with all GPS and TCR control checks verified prior to detailed processing. In addition as part of our Quality Control system a contour model was generated with contours @ 0.05m interval to identify potential target height errors. On completion of N4ce processing the project was exported to AutoCAD for drawing preparation and then initial checking by a Senior Surveyor prior to a site visit for field verification. On completion of the final drawing using AutoCAD, a rigorous final check covering all aspects of the survey with particular emphasis on cartographical standard was completed by a Senior Surveyor, following which the survey was issued to the Architect as a 2D AutoCAD file and paper plans. Following issue of all survey information the project Architect was contacted to ensure the survey covered the necessary area and scope and were asked for any feedback.